A CAR crashed through a wall at behind a pub in Halifax last night. 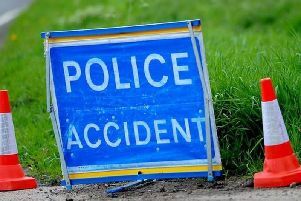 The crash happened at around 9pm last night (Saturday July 30) at a mini roundabout at the junction of Cooper Lane and Carr House Lane in Shelf, Halifax. The car ended ploughing up through a wall at the back of the Prince of Orange pub.